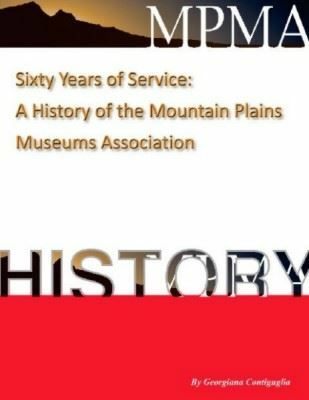 The Mountain-Plains Museums Association (MPMA) was founded in 1953 and provides services to museums in its 10-state region. MPMA is one of the few associations to have an archives. It dates back to 1953 when MPMA was established. The Archives Project, led by Matt Wilson, consolidated files and placed them in proper archival order. For more information about MPMA's archives or if you would like to donate materials and photographs to the archives, email us at director@mpma.net. The Archives Project led to the writing of MPMA's History by Georgi Contigugulia (2013). Click here for a copy of this History book. 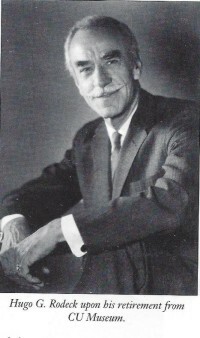 Hugo Rodeck was one of the founders of MPMA. He served as MPMA's president and received the first Hugo G. Rodeck Award for Excellence, MPMA's highest honor.